Genuine OEM Lanier Toner Cartridge, Cyan, 15,000 page yield. Lanier part number: Lanier 821029. Color Laser Toner Cartridge compatible with Lanier LP540, LP550. Compatible Lanier Toner Cartridge, Cyan, 15,000 page yield. Replaces Lanier part number: Lanier 821029. Color Laser Toner Cartridge compatible with Lanier LP540, LP550. Compatible Lanier Toner Cartridge, Magenta, 15,000 page yield. 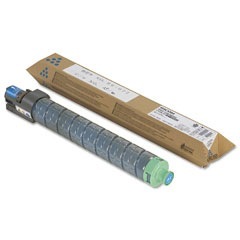 Replaces Lanier part number: Lanier 821028. Color Laser Toner Cartridge compatible with Lanier LP540, LP550. Qualifies for free shipping & earn 67 points! Compatible Lanier Toner Cartridge, Yellow, 15,000 page yield. Replaces Lanier part number: Lanier 821027. Color Laser Toner Cartridge compatible with Lanier LP540, LP550. Compatible Lanier Toner Cartridge, Black, 20,000 page yield. Replaces Lanier part number: Lanier 821026. Laser Toner Cartridge compatible with Lanier LP540, LP550.